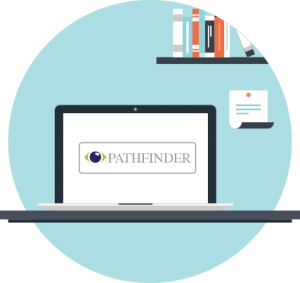 PathFinder is designed to gather information from diverse databases throughout a telecommuncations company and offers software and engineering intelligence to create value driven views, reports, and suggestions helping traffic engineers manage their network. This functionality centers around four main processes. The first process is gathering data from the different sources. The second is constructing a network simulation from the gathered data. The third major function of PathFinder is to allow network engineers to establish rules for what the network should look like. Finally, the fourth major function compares the constructed network simulation with the established rules for how the network should be routing in order to show a differential between the actual and the ideal. Data Junction is a software tool that provides a mechanism to access thousands of network nodes, retrieve and store data from those nodes, and distribute that data to other applications via web services. The objective of Data Junction is to create one central location that allows approved applications to access node data. Data Junction acts as a switchboard, feeding data to applications, rather than having multiple applications accessing delicate node data.